Money mules are believed to have responded to online advertisement offering them jobs to transfer money using their own bank accounts, sending monies for a non-existent overseas company operated by the scam syndicate and getting a percentage of commission. In most cases, a fraudster befriends a potential money mule online, establishes a relationship and convinces him or her to accept funds through their bank account from an unknown source, and either transfer it to another account or withdraw it to hand to another person unknown to the mule. The offence of Money Laundering carries a punishment of a fine not exceeding $500,000 or to imprisonment for a term not exceeding 7 years or to both. Non-individual could risk a fine of up to $1,000,000. 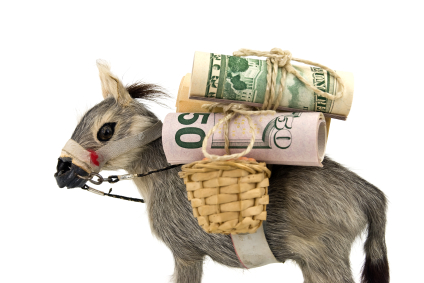 The money mules then provided their bank account details to the scam syndicate. The amount of money, typically ranges between S$50,000 to S$200,000 is quickly withdrawn or transferred out of the mule’s account. For every inflow of funds to the money mule’s account, a transaction fee and commission from the principal amount will be deducted before the remaining amount is transferred to an overseas bank account provided by the scam syndicate. Some syndicates are even more sophisticated, setting up “companies” and inviting unwitting mules to take on the role of a “Singapore representative” or “Singapore-based agent”, whose sole job is to open a new personal bank account and receive funds from similarly-unknown sources. There has been a rise in such cases in Singapore, from 93 cases reported in 2012 and 133 cases reported in first three quarter of 2013.